Our loved ones are at the heart of our lives. Our parents, grandparents, siblings, children and friends. Cheeky Little Prints capture a little bit of your special people (and pets) and transforms it into a unique keepsake. 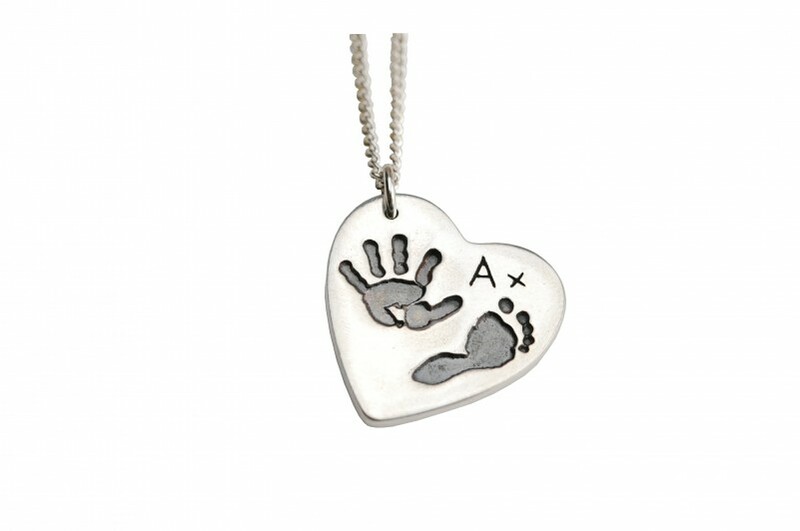 I take impressions of hands, feet, fingers, paws and hooves (and more), and create beautiful silver or ceramic keepsakes for you to treasure. Carry a reminder of your loved ones in beautiful silver jewellery, or keep a ceramic memento in a special place in your home. Cheeky Little Prints was founded in April 2009 by Lisa Berry who has nearly 8 years experience in carefully handcrafting stunning silver jewellery showcasing your loved ones special prints. Each piece of jewellery is bespoke and undergoes 14 different stages (18 stages for hand, foot, paw print, doodle and signature jewellery) to transform the initial fingerprint impression, hand, foot or paw print, drawing or wording into beautiful solid silver. Capture your magical memories that will last a lifetime and beyond. I will work with you to design your special jewellery just the way you would like it. All jewellery can be ordered online and I have created jewellery for clients all across the UK as well as for clients in Australia, Chicago, Luxembourg, New York and The Netherlands. I will always go the extra mile for my clients and have created several pieces of paw print and handprint jewellery under challenging circumstances. A shining example of this is when a client contacted me to ask if I could create silver paw print jewellery from a paw print in concrete as her dog had sadly been put to sleep and I was unable to take a paw print with my usual kits. This was a very big challenge as the paw print was not as clear as I would have liked, however, I worked with the client back and forth until the paw print was accurate. I completed several pieces of jewellery to a very tight deadline to ensure my client's devastated 18 year old Son would have a paw print charm on what would have been his beloved dog's 8th birthday. All of this was done in secret and her Son was overwhelmed when I hand delivered the paw print jewellery. This is what Cheeky Little Prints is all about, helping you keeping a part of your loved ones with you wherever you go. So don't keep putting it off, contact me today and capture your special memories and treasure them forever.